Another image taken at the Portofino Bay Resort at Universal Studios, Orlando. This image was taken at 9:34 pm as the sky was still showing some fantastic light from sunset. I have noticed many people stop taking photo’s after the sun has set, but this is the best time to continue to shoot. 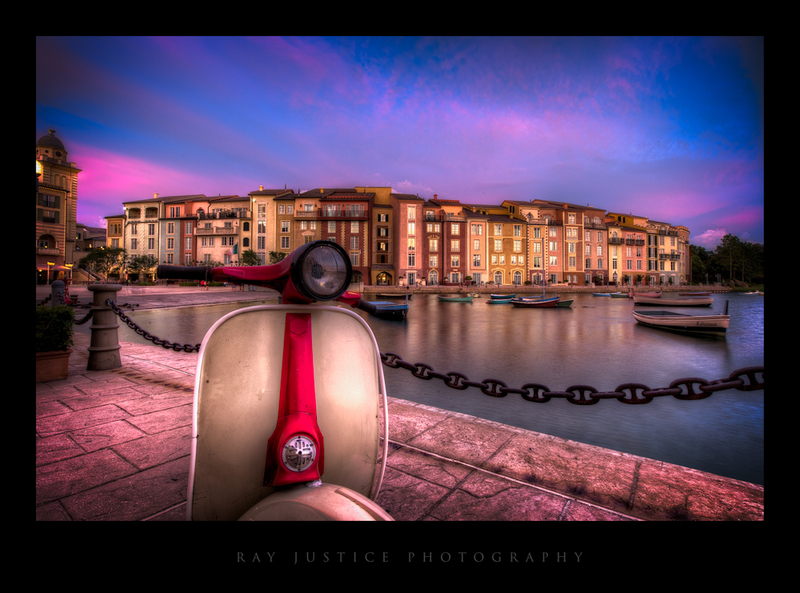 I have about 700 images from the Portofino Bay Resort to process as this property was full of photogenic opportunities. Edited in LR5, Photoshop CC.